The role of the Provincial Grand Almoner is to provide support, guidance and advice to all Lodge Almoners within the Province of Cornwall, and to be the conduit through which applications for financial, medical & family support on behalf of its Brethren and their dependents are made to the central Masonic Charitable Foundation (MCF). He also monitors the award of grants and the distribution of grant monies to individuals by the MCF. The past year (2017) has seen a significant change introduced by the MCF to the way that applications for grants are to be made to them. 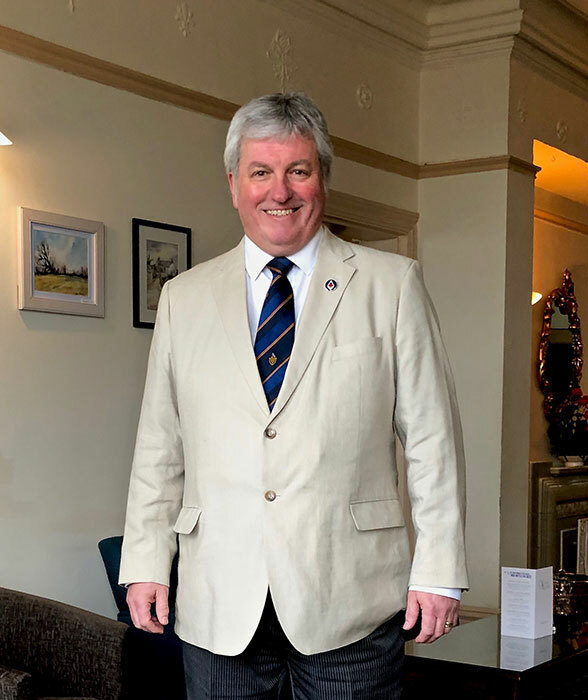 The MCF have worked with the Provincial Grand Almoner for each Province to identify and create a team of suitably vetted and trained individuals to act as ‘Visiting Volunteers’ (VVs) or ‘Roving Almoners’ for them. These VVs are responsible for visiting Brethren and their dependents seeking to apply for a grant, to assess their needs, complete the MCF’s detailed application forms, and collate all relevant financial and other supporting documentation. The VVs then forward the completed applications direct to the MCF for their consideration. As of November 2017 the Province of Cornwall has a team eight VVs in place and, as such, the MCF will now onlyaccept applications prepared by these VVs and not by Lodge Almoners or other visiting Brethren as was the case previously. The introduction of the trained ‘Visiting Volunteers’, relieves Lodge Almoners of the administrative burden of raising new applications, or completing annual reviews, and leaves them free to concentrate on their important and more traditional role of pastoral care for their Brethren, families and widows. As Provincial Grand Almoner I should like to take this opportunity to thank those eight individuals within the Province who give so generously of their time in the role of VV, thereby enabling the MCF to achieve its goal of processing applications and awarding grants more quickly and efficiently. Each Lodge within the Province has its own Almoner, a very important role and one traditionally held by a senior Brother. The core role of the Almoner is to be the “eyes and ears” of the Lodge, ensuring the welfare of its members, widows & dependents. To perform this role an Almoner will need to possess considerable tact, courtesy, discretion, patience and humour; a sympathetic disposition, a commitment to helping people, and the necessary time and energy to devote to the benefit of Lodge members and their dependents. Maintaining regular contact with sick or distressed Lodge members, widows/ widowers/single members, and families of recently deceased brethren. Being alert to the needs and problems of Lodge members and their dependents. Being aware of the aims and activities of the Masonic Charitable Foundation, and of our own Cornwall Masonic Charitable Foundation, and how to access the support they offer, together with a basic knowledge of the range of support available from the state and from non-Masonic charities. Maintaining an up-to-date record of the names and contact details of Brethren, widows and dependents whilst ensuring compliance with the requirements of the new General Data Protection Regulations (GDPR).